Whether it’s just the odd windows you’re looking to replace or you want change the double glazing in the whole house, Victory Windows offer several bespoke, yet affordable solutions for Double Glazing in Chichester. A family run company, established for nearly 30 years, Victory Windows have installed Double Glazing in Chichester as well as across the whole Hampshire and West Sussex. When it comes to Double Glazing in Chichester, no job is too big or too small for us to consider. Over the years we must have installed hundreds of Double Glazed Windows and Doors in Chichester so you won’t be too far away from one of our many happy customers. Offering a wide range of uPVC and aluminium Double Glazing solutions for Chichester, Victory Windows are confident that we have something for everyone’s personal tastes, requirements and budget. Telephone 02392 824006 or 02392 666955 to speak to a friendly member of our team or contact us here. Victory Windows specialise in the supply and installation of uPVC windows in Chichester and the surrounding areas. We have a wide selection of uPVC windows, including Bay Windows, Tilt and Turn Windows, Bow Windows, Casement Windows and Sash Windows to name just a few. All of our stunning windows can be personalised to your taste with unique, bevelled, decorative or leaded glass as well as options with regards to handles, hinges, Georgian bars and openings. At Victory Windows we listen to your needs to ensure that your brand new Double Glazing in Chichester is perfect for you. Why not design the uPVC windows of your dreams with a member of our friendly team? Give us a call today on 02392 824006 or 02392 666955. A new uPVC front door can rejuvenate the whole look of your home whilst a new uPVC rear entrance door can keep things looking fresh at the rear of the property. Victory Windows offer a wide range of beautiful double glazed Patio and French Doors. Our French Doors are an elegant, yet simple way to allow access to the rear of your property whilst our beautiful range of bespoke Patio doors allows you to be slightly more adventurous in terms of design and functionality. Designed your way, built to last. 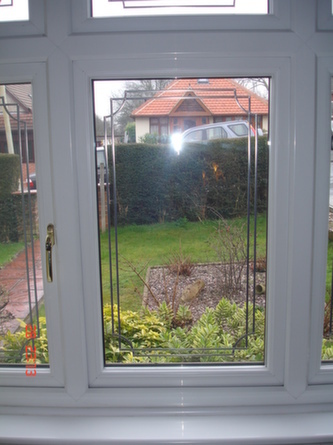 Victory Windows should be your first port of call for Double Glazing in Chichester.